In today’s rumor rundown, the Carolina Hurricanes are working on a deal with Sebastian Aho, Kris Versteeg may be headed to the KHL, the Toronto Maple Leafs are still managing the future with their young core and there are some specific players on one-year deals to watch this season. A player who has had some trouble finding regular employment in the NHL over the past few seasons may be on the move again. 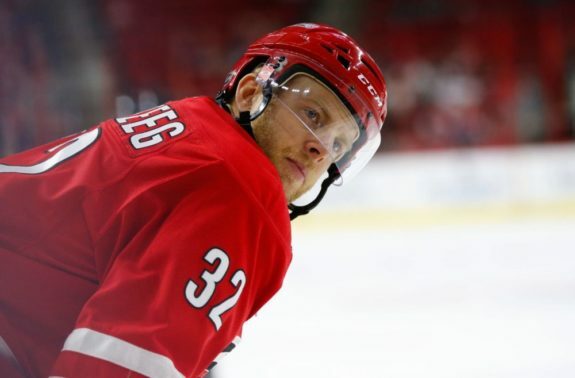 Speculation is that Kris Versteeg may be ready to sign a contract to play in the KHL this coming season. That Versteeg was leaving the NHL was first being reported by player agent Aljosa Pilko and Igor Eronko of Sport-Express then reported it would be Avangard that signs him. Versteeg’s camp has not made an official announcement on the matter. Versteeg is another player in a long line of NHL veterans having a hard time finding work in the NHL this summer. It appears some of these veterans are looking at international hockey versus professional tryouts on NHL teams. According to NHL.com’s Tom Gulitti, the Carolina Hurricanes have started discussions on a contract extension with Sebastian Aho. 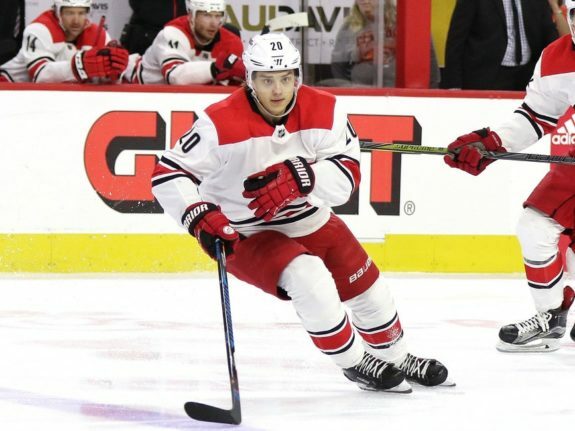 Aho hasn’t made comment on the negotiations other than to say he’s hopeful his agent, Gerry Johansson, can get a long-term deal done with the team. Aho led the Hurricanes with 65 points last season and finished second in tournament scoring at the World Championships with 18 points in eight games. He’s got one more season on the books for just under $1 million per season and the Hurricanes shouldn’t need to dump a contract nor should they have trouble fitting in his salary to the team structure. Speculation is the team could potentially move Aho to the wing with their center depth being quite strong. 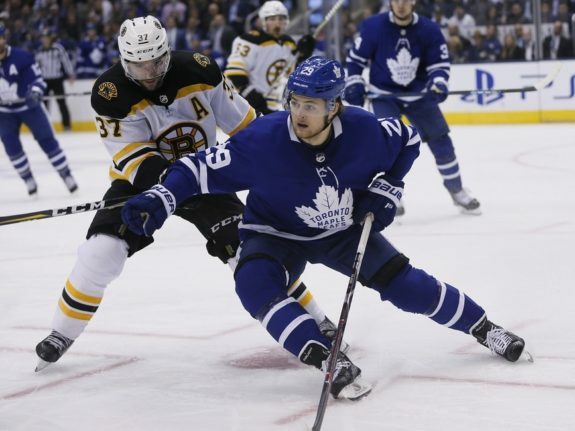 Mike Zeisberger of NHL.com has added more detail to the story that the Toronto Maple Leafs and restricted free agent forward William Nylander are moving slowly in their contract talks this summer. Apparently, there is still no urgency by either side. Nylander did comment on the status of where he’s specifically at with the process and said, “Now that contract negotiations have started you’re more aware of what’s going on with things like that.” He added that when other guys sign it’s hard not to notice. Still, he says that while other players getting contracts will make you pay attention when you don’t have one, it hasn’t added pressure from his side to get a deal done. He’s ok with general manager Kyle Dubas wanting to move slowly and he knows both sides are going back and forth a bit. Nylander also noted that he understands the Leafs want to get all three guys — himself, Mitch Marner and Auston Matthews — signed but wonders if that’s realistic in a cap system right after the team handed out such a large contract to John Tavares. Does Ellis’ New Deal Set a New Mark? 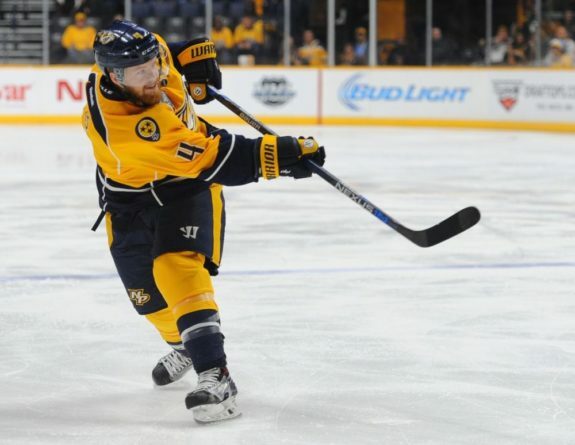 Brooks Bratten tweeted that while Nashville Predator’s defenseman Ryan Ellis didn’t come right out and say he took a discount to stay with the Predators, he is aware that taking a team-friendly deal helps Nashville moving forward. Will teams use Ellis’ new deal as a benchmark against agents trying to get their players extended? Only time will tell. Jared Clinton of the Hockey News recently listed off a handful of one-year players to watch this season. He included Jacob Trouba, Mark Stone,William Karlsson, Kevin Hayes and Brock Nelson in that list. He added that as of January 1, 2019, these players can either re-sign with their respective teams or the conversations about trades will start to pick up. Trouba and Karlsson will be restricted free agents while Stone, Hayes, and Nelson will become unrestricted free agents on July 1, 2019, if not re-signed. While it seems odd to think the Jets would trade Trouba while in a hunt for the playoffs, Clinton suggests the team might move him in the months leading up to free agency. He cites the team would rather not go through another potential arbitration saga. In contrast, with a good season, it is likely the Rangers consider re-signing Kevin Hayes while Vegas would definitely try and keep Karlsson in the fold once he’s proven his production.